We all make new year’s resolutions in order to better ourselves. But sometimes, in order to make our lives better, we need to let certain things go and move on. One of those things might be your furnace. It had a good run, but now might be the time to get it replaced. 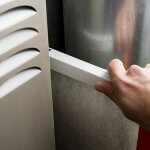 So, here we’re going to show you the top six warning signs that you need to replace your furnace. Separately these signs may not be enough reason to replace your furnace, but the more signs that apply to your furnace, the more likely you need a new one. According to Consumer Reports, the average life expectancy for a gas furnace is 18 years. However, according to ENERGY STAR, you should replace a furnace that’s over 15 years old with an ENERGY STAR rated furnace, which is 15% more energy efficient than other furnaces on the market. To learn more about how much money you can save by upgrading to a new energy efficient furnace, read up on AFUE ratings, which measures furnace energy efficiency. A variety of problems could be causing an increase in your energy bills. But if you have been scheduling regular professional maintenance every year and had your air ducts properly sealed, your energy bill shouldn’t increase dramatically. A steady increase in your heating bill over the years may mean that your furnace is on its last legs. As internal parts wear out, your gas and electric bill may go up. 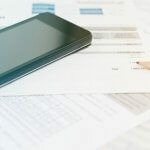 If you notice a sharp rise in your bill, contact your local HVAC specialist. The extra money you’re paying in gas and electricity could go towards buying a new furnace. Furnaces incur the most repairs during the last two years of their lives. Like a repairing an old car, it doesn’t take too many repairs before keeping your old furnace running isn’t worth the cost. Add up the cost of repairs to your furnace over the last two years and see if it’s cost efficient to buy a new one. If you’ve had more than two furnace repairs in the last year, it’s probably time for replacement. Another way to tell if you should replace or repair is if the repair cost is over 50% the cost of a new furnace. When you turn on your furnace, does it make any rattling, popping, or banging noises? Older furnaces make these strange noises at the end of their life. Also, does your blower turn on and off frequently? Does it blow cold air? This is another sign that your furnace needs to be replaced by a professional heating company. Are some of your rooms too hot or too cold? Are you constantly adjusting the thermostat to stay comfortable? If so, it may be because your furnace can no longer distribute heat properly throughout your house. A certified HVAC technician should be able to tell if the issue is with your thermostat or furnace. If your furnace’s flame is yellow instead of blue, it could be a sign that your furnace is producing carbon monoxide. At the very least, the fuel is not burning as cleanly and efficiently as it could. Any furnace flame color that’s not blue can indicate incomplete combustion and a potentially dangerous situation, such as leaking gas and/or carbon monoxide. Carbon monoxide is an odorless, tasteless, and colorless toxic gas that is produced whenever fuel is burned. Exposure can be deadly. How many of these signs apply to your furnace? The more that apply, the more you should consider buying a new furnace from a trusted heating company. And remember that buying a new furnace won’t save you much money if it’s not properly installed. Before you make a decision, speak with the experts at Service Champions. There are many different heating system types to choose from. Learn how a furnace works. 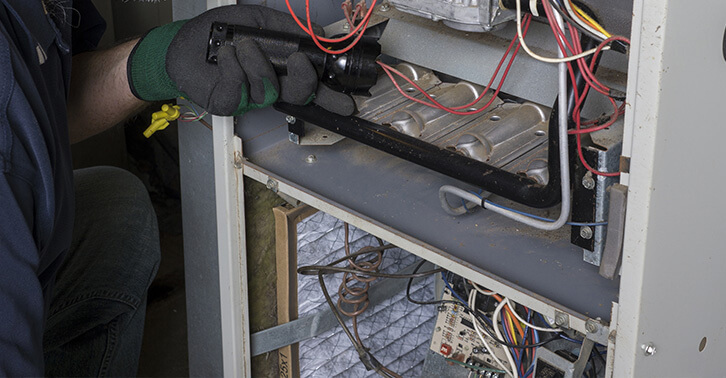 Learn how to troubleshoot common furnace problems. Need a new furnace? Contact Service Champions North and ask about our line of furnaces with AFUE ratings of 80% and higher. We proudly provide new and replacement furnaces to East Bay, San Jose, Sacramento and the surrounding areas.